I bought some cute Christmas paper a few years ago. The leftover sheets made it through two moves, so I figured that it is time to use it. 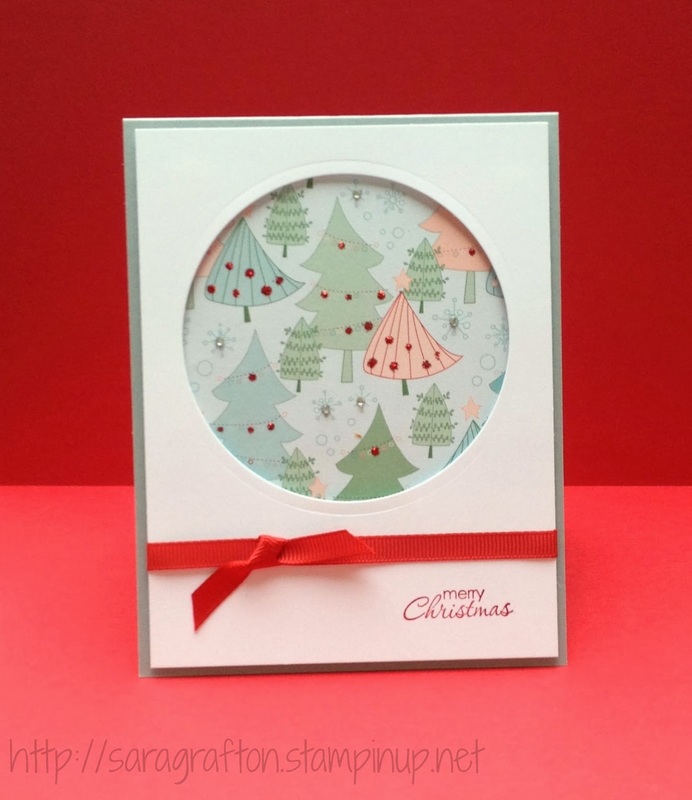 I paired it with some newer supplies, including the Smoky Slate card stock and a Circles Framelit to make the window on the card. I added some bling and am happy with the results. I used to have that paper too and remembered using it again and again that year. Your card is really cute.